Cairn India, the parent company of Cairn Lanka which is actively pursuing oil exploration in the gulf of Mannar has reported a record revenue of 175,241 million (US$ 3,223 million) a 48% increase over the previous year and profit after tax (excluding forex and impact of the reorganisation) of 116,063 million (US$ 2,135 million), a 56% increase over the previous year. 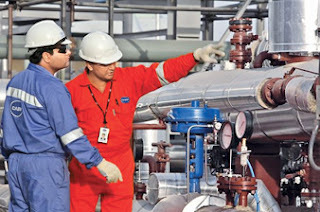 The company generated its highest ever revenues and net profit during the FY 2012-13 as production grew from the Rajasthan block and lower operating costs.The revenue, reported net of profit sharing with the GoI and the Rajasthan block royalty expense, grew by 48% at 175,241 million (US$ 3,223 million), the company said in its financial results report for the 12 month period ended March 31, 2013. Cairn, successfully completed its second phase of oil exploration in February 2013. “The well encountered high quality reservoir sands; however these sands were water bearing. The well was plugged and abandoned and the rig was demobilized. The results of the well are being integrated with reprocessed 3D seismic data to finalize the forward programme which includes the options for appraisal of the existing two discoveries and entering exploration phase-III. Options to appraise develop and monetise the two gas discoveries are under evaluation,” the report said. “In Sri Lanka, data from both exploration phases is being evaluated and integrated to fully understand the block’s future potential as they evaluate options for developing the existing discoveries in the block,” the report said.